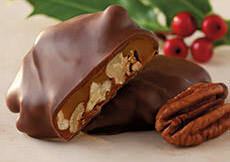 A perfectly nutty, chocolatey crunch! 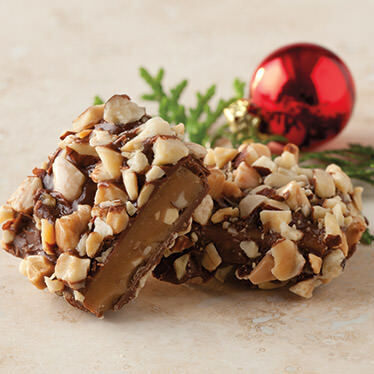 Our homestyle toffee is made from pure sugar, fresh dairy butter, diced toasted almonds, and a rich milk chocolate blend. Heavenly! INGREDIENTS: milk chocolate [sugar, chocolate liquor (processed with alkali), cocoa butter, milk, butterfat, soy lecithin (an emulsifier), vanillin (an artificial flavor)], roasted almonds, toffee [sugar, butter (cream, salt), water, salt, lecithin]. ALLERGEN INFORMATION: Contains milk. This product manufactured on equipment used for processing peanuts, tree nuts, seeds, wheat, and eggs. PERISHABLE - DO NOT FREEZE: This product should be enjoyed right away, but may be stored at room temperature for up to four weeks. Keep away from heat. Tightly seal with plastic wrap after opening. 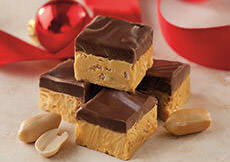 Almond Butter Toffee has always been a favorite. 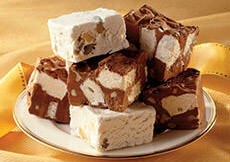 I just tried your's for the first time this Christmas and it is the best I've tasted so far.